The interactive voice response (IVR) system is a necessary tool, and some would even consider it indispensable. It’s the tool that, when used correctly, reduces the call load on your professional, paid agents, handles simple problems at all hours of the day and night, opens up the possibility of true omnichannel capability, and more. Of course, though, it has to be working properly. This is where IVR testing can be useful, but IVR testing itself isn’t as simple as some may expect. What is IVR Testing, and Who Can Use It? IVR testing itself is pretty much what the term suggests. It’s a means to test an IVR system and its accompanying infrastructure by sending a large volume of traffic through it to see how much of that traffic the system can handle. No one knows where the failover point is. If the system can take a fairly large amount of sustained traffic, then it can be a good candidate. The point of IVR testing is to find the failover point, so if no one knows what it is already, then testing can serve its purpose. The system can handle a “large” amount of traffic. If your system is already failing after 10 simultaneous calls, then IVR testing won’t be helpful. You already know where the failover point is, as mentioned in the previous entry, but you also know it’s very low. So even if you didn’t know if the failure point came precisely at call nine or call 11, you would find that IVR testing would overwhelm the system before it got even close to its full range. The system has good-quality documentation. 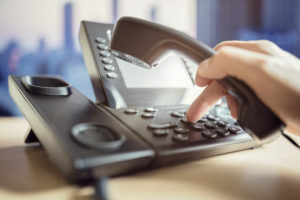 Many IVR systems were added on after the fact – part of a modular patchwork of systems done in a series of gradual upgrades designed to save money on capital expenditure. This means that the documentation of how the system is built is less than sound. Without solid documentation, it becomes very difficult to write the necessary test scripts or set up the IVR map that’s a large part of IVR testing. What Kinds of IVR Testing Are There? Additionally, there are several types of IVR testing out there, and not all of them will be applicable to each company’s needs. Selecting the right kind of IVR testing will be crucial to getting the most out of it. IVR load testing. This is one of the most common types, and it’s designed to measure the overall environment during various levels of usage. It’s not specifically out to break the system, but it can tell when the system approaches breakdown by monitoring the system while it’s testing, checking for things like CPU use, memory consumption, and similar system measurements to ensure a better outcome. IVR soak testing. Soak testing, meanwhile, focuses on a long run, typically a period of between one and four hours. It’s like a load test, only the load is held much longer than normal. It’s good for systems that are just starting up, as it allows for certain issues like memory leaks to actually appear. Load testing generally runs in shorter bursts. IVR stress testing. IVR stress testing is a little more aggressive than load testing; it works to determine the exact straw that breaks the camel’s back. Stress testing looks for that failover point and reports it accordingly, noting the system’s maximum number of concurrent calls as well as its maximum arrival rate. Peak traffic tests must be conducted with outside traffic that arrives via the public telephone network, much like regular calls would, to ensure accuracy. IVR feature testing. Sometimes you don’t want to know what kind of traffic your system can absorb, but rather, just how well all the features work. It carries out a full “dialog traversal,” which makes sure that the callers can go somewhere if they press the numbers you indicate. It also shows what happens if a number is pressed that doesn’t have a function, or if callers do nothing. This is also a good way to test features like speech recognition, if your system has such features in place. IVR experience testing. This is the start-to-finish test that checks on just how well your IVR responds. It’s been compared to a “secret shopper,” but for phone systems. This is how you can determine how well your IVR system works to its callers, not in terms of how many but rather of how well. If you’ve got the kind of system that could benefit from IVR testing, or you want help getting your system to the point where IVR testing can have an impact, then start by reaching out to us at TelcoAlert. We perform IVR load testing which can generate as many as 10,000 simultaneous calls into your system to check its failover capacity. We can test for your standard call volume or look for your system’s breaking point. Regardless of what you turn to us for, we can deliver value for your IVR and call center systems, so just get in touch with us to find out how.